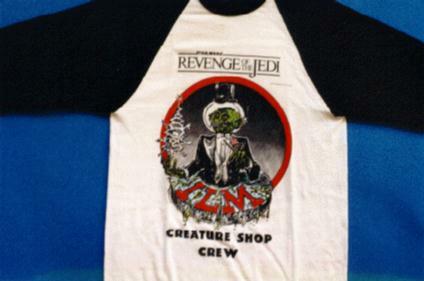 This is a crew shirt given out to the crew working on creature masks for the film, Revenge of the Jedi, before it was retitled. 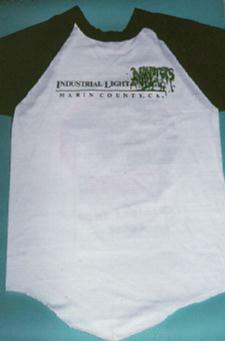 The front shows the ILM magician replaced by an alien wearing a space helmet. The Revenge of the Jedi logo sits across the top.